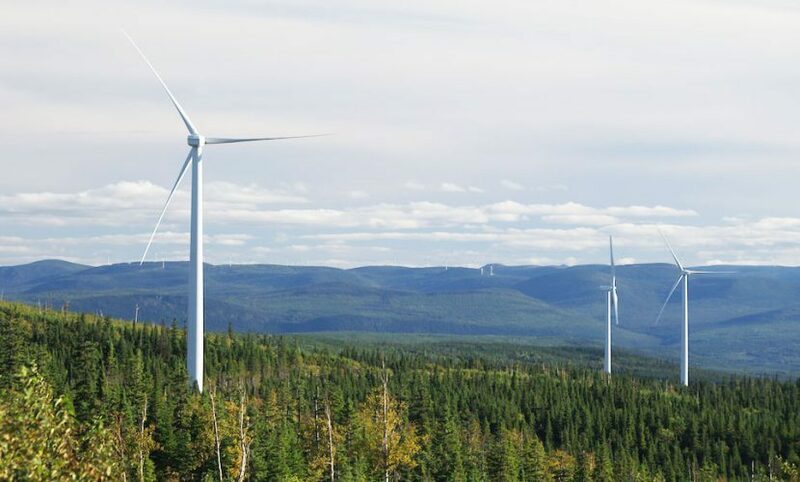 The Gros-Morne wind farm is located in the Municipalities of Saint-Maxime-du-Mont-Louis and Sainte-Madeleine-de-la-Rivière-Madeleine, Québec. The wind farm has an installed capacity of 211.6 MW and generates an average of 650,000 MWh of electricity each year. Gros-Morne was developed in two phases. Phase I was commissioned on November 29, 2011, and Phase II was commissioned on November 6, 2012. Under the terms of a power purchase agreement (PPA) signed for Phases I and II, Hydro-Québec has committed to buy all the electricity generated at this facility for a term of 21 years effective with the start of commercial operations of Phase I in November 2011. Electricity pricing is set in the contract and adjusted yearly, on the basis primarily of the consumer price index.